The Ultra Electric 12 Amp Blower/Vacuum/ Mulcher delivers all the power and versatility you need to tackle yard clean-up chores. It offers a rugged metal impeller and variable speed air control. Its blower inserts for multiple applications allows you to tackle any space. The powerful, up to 250 MPH, air stream clears debris, sticks and large, heavy leaves. It converts quickly to an aggressive vacuum without any tools and reduces 88% of mulched debris to less than 1/2 inch meaning you can fit more into a bag at one time. This Ultra Blower/Vac is covered by a 2-year full warranty. The ECHO 58V Cordless Blower is the most advanced, professional grade high voltage cordless blower in the industry. Featuring a unique brushless motor designed to deliver superior power, runtime and durability, the ECHO Blower has clearing power comparable to gas powered handheld blowers. Equipped with a variable speed trigger and cruise control setting, you have the power to choose between more clearing power or extended runtime, and with the integrated metal scraper on the tip of the blower tube, this unit will power through the most stubborn debris. The blower, battery and charger are all backed by an industry-leading 90-day money-back guarantee, a 5-year consumer warranty and a 2-year commercial warranty. Equipped with a 25 cc two-cycle engine, the Poulan Pro PPBV25 gas-powered handheld leaf blower has a fuel-enriched carburetor and spring-assisted starting system. Capable of 230 mph air speed and 450 cfm airflow, it's ideal for year-round clean-up of grass, leaves, and other stubborn debris. With cruise control, trigger-operated variable speed control, reduced vibration technology, and comfortable, soft-grip handle, this lightweight, vacuum-capable blower is powerful, versatile, and easy-to-use. Includes vacuum. Ultra 250 MPH 350 CFM Electric 12 Amp Blower / Vacuum / Mulcher The Ultra Electric 12 Amp Blower/Vacuum/ Mulcher delivers all the power and versatility you need to tackle yard clean-up chores. It offers a rugged metal impeller and variable speed air control. 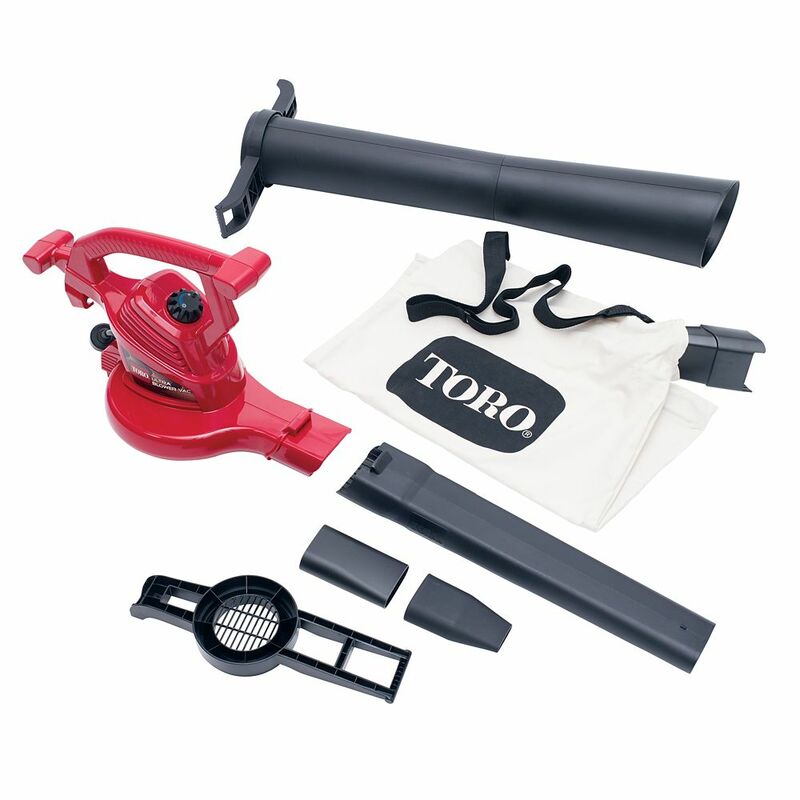 Its blower inserts for multiple applications allows you to tackle any space. The powerful, up to 250 MPH, air stream clears debris, sticks and large, heavy leaves. It converts quickly to an aggressive vacuum without any tools and reduces 88% of mulched debris to less than 1/2 inch meaning you can fit more into a bag at one time. This Ultra Blower/Vac is covered by a 2-year full warranty. Ultra 250 MPH 350 CFM Electric 12 Amp Blower / Vacuum / Mulcher is rated 4.3 out of 5 by 2905. Rated 4 out of 5 by Greg from This is a strong blower, but the black attachment reduces the amount of force a little to much. U... This is a strong blower, but the black attachment reduces the amount of force a little to much. Using the blower without any attachment is great. If you could open the reducer in the black blower attachment it would be perfect. The vacuum mulched is solid. Rated 5 out of 5 by Lesley from Awesome! Worked as expected, even better.... Awesome! Worked as expected, even better. Rated 5 out of 5 by Flaco from Very well built. Very strong.... Very well built. Very strong. What is the CFM of this blower.